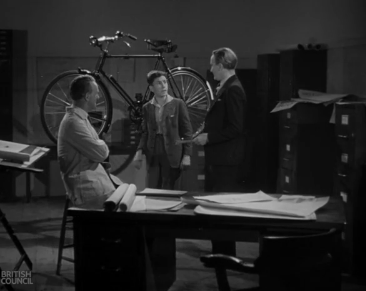 This video is from the British Film Council and shows the Raleigh Bicycle factory in 1945. Of course, they don’t make bikes like that anymore and few in the UK. While in the UK a few years ago, we toured the Moulton factory, where they still make bikes and 14 Bike Co. Previous Previous post: Once and Liberty Seguros team bikes on eBay: Manolo Saiz’s clearance sale?